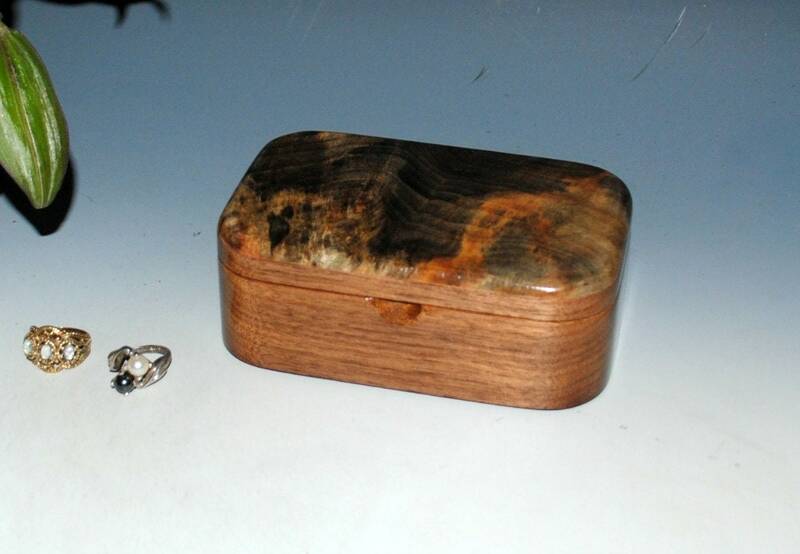 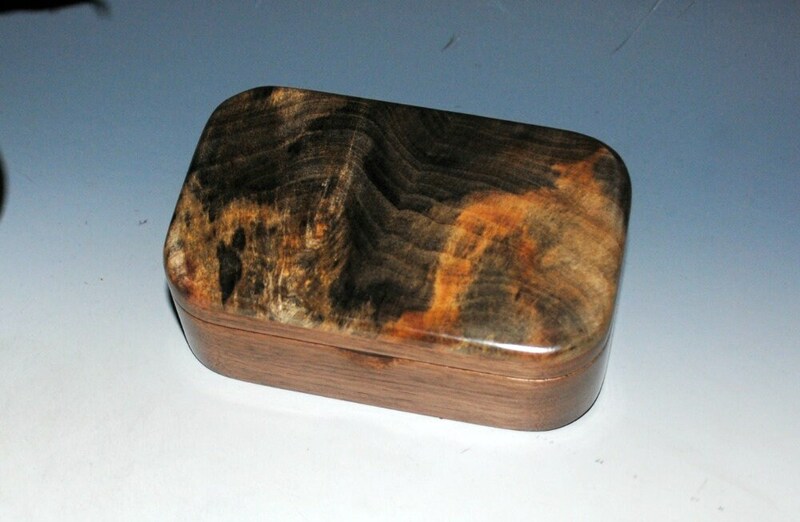 A small handmade wooden trinket box of walnut with buckeye burl accent. 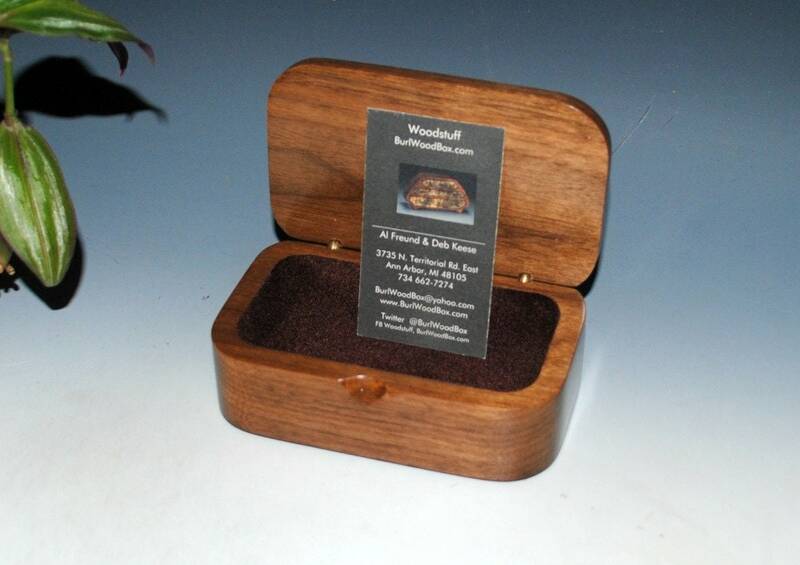 Great for small personal treasures or as a elegant presentation for that special gift. 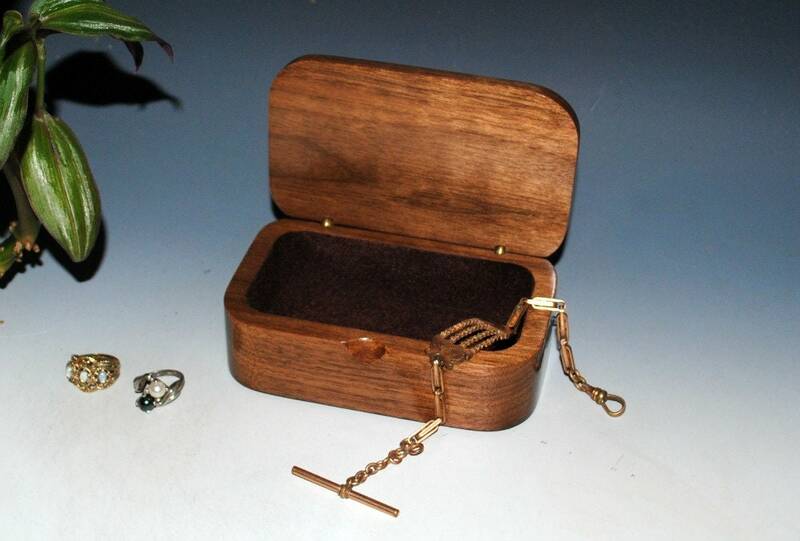 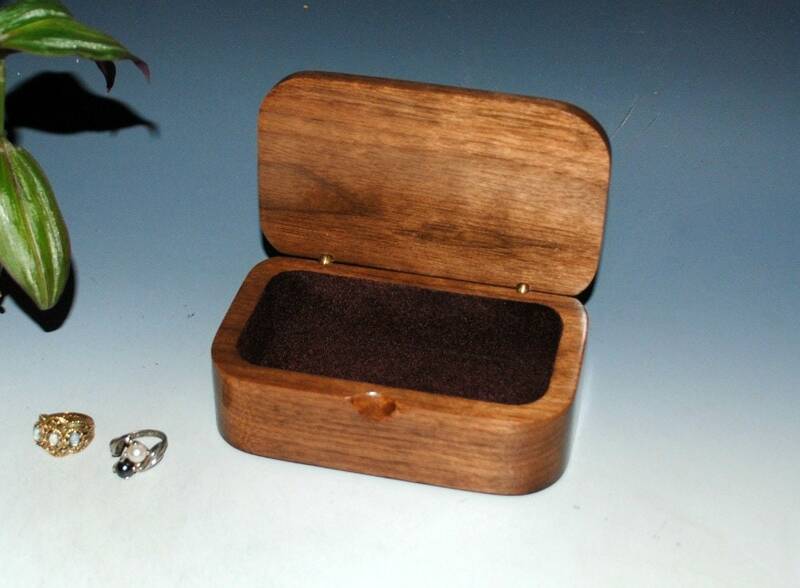 We can personalize this box for you with a laser engraving for an additional charge of $10.00. 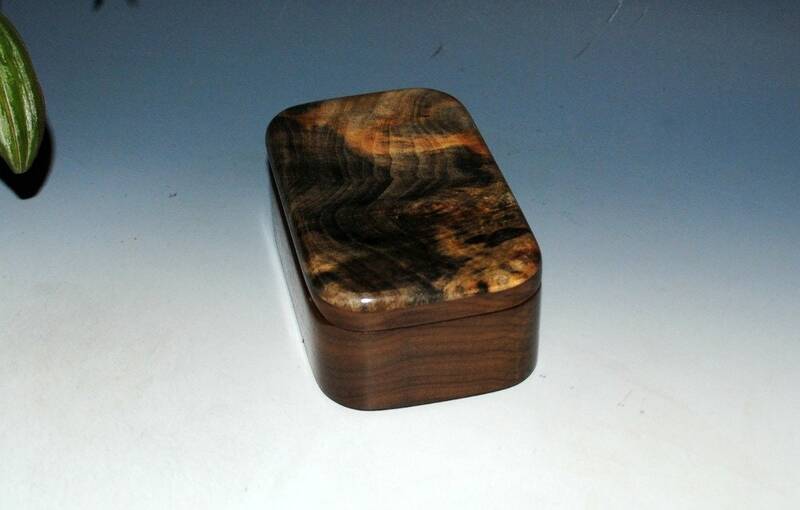 We suggest the inner lid for engraving. 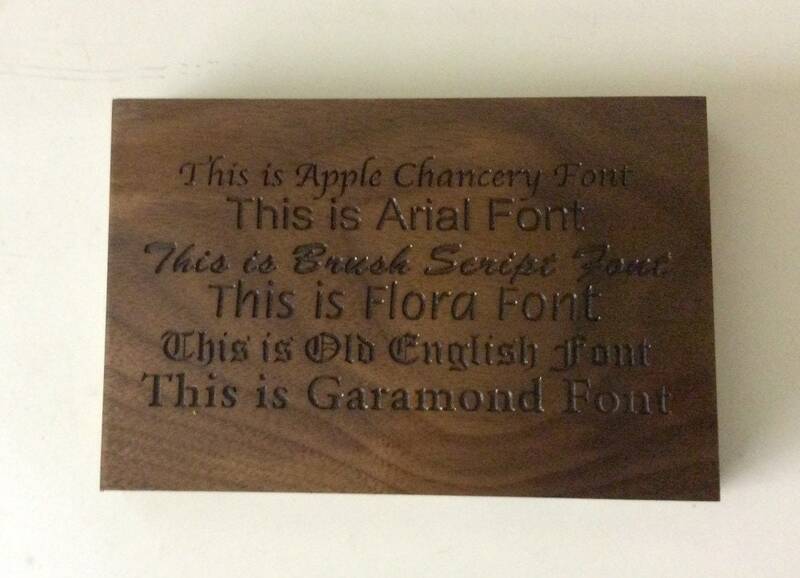 Already in use. 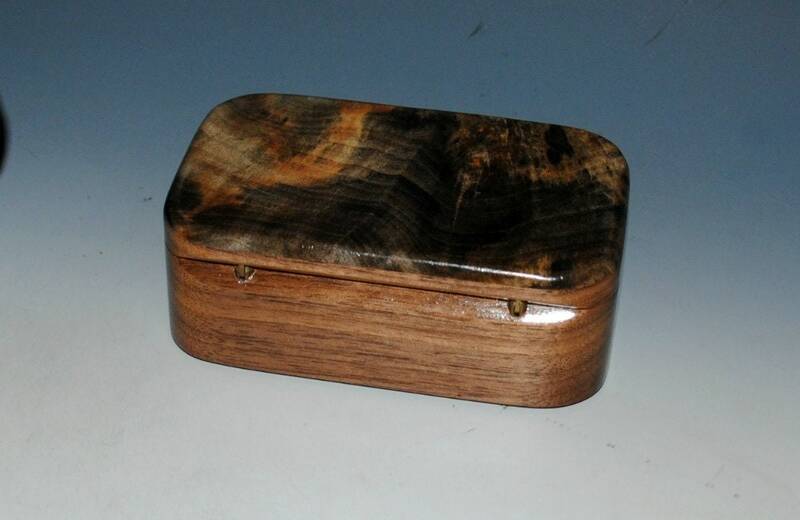 Love all the boxes I have from these craftsmen. 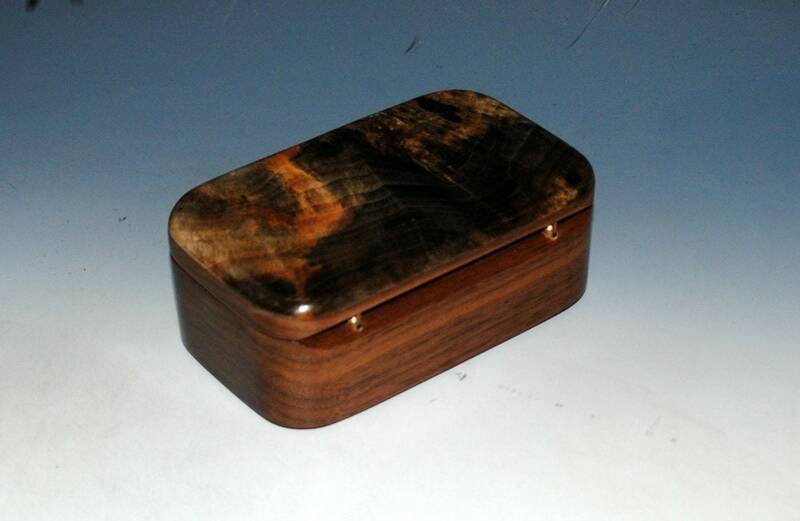 This one photographed a little darker than it is, but still beautiful.